Everyone should have an Online Business. 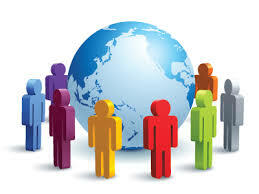 Your online business need to share your passion that you want to give to the world. Your passions can create the revenue that you need for your life. There are a lot of benefits when it comes to online business whether personally or professionally. Just achieving something new and different can be very rewarding. An online presence for business is a marketing tool and strong communication, a tremendous source of economic efficiency, in a friendly working environment, a sign of professionalism and almost a requirement today. Your clients or customers expect to see your website address and your e-mail on your business cards and promotional materials. Starting an online business will allow you to host a store without inventory. If you post some good quality articles on a particular topic, then apply an affiliate program for selling items linked, you can be in business quickly, without overhead, shipping handling worst nightmare and all other requirements to serve the public. One of the major advantages of starting a business online is that you can fail and still have your life savings. Assuming that you have to go to venture in a responsible way, you can not afford to mess up things but if you bought a franchise and things do not work, you will be left with a deficit financially for a long time. *Always being present to your ideas. Whenever you need Coaching on your online business, I can support you with your online business because I have vast knowledge of Search Engine Optimization.